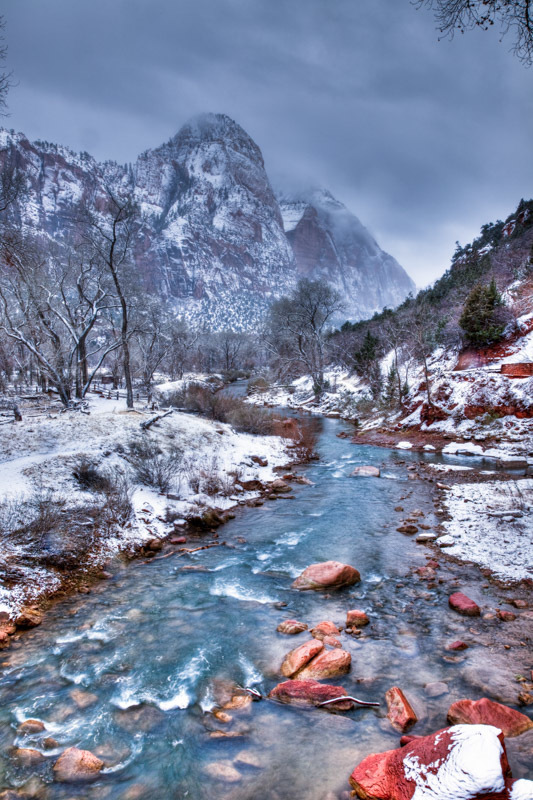 Virgin River Running II | Irene Abdou Photography, LLC - Travel. Lifestyle. Documentary. NGOs, Development & Public Health. Virgin River, Zion National Park, Utah, as viewed from the base of the Emerald Pools trail.